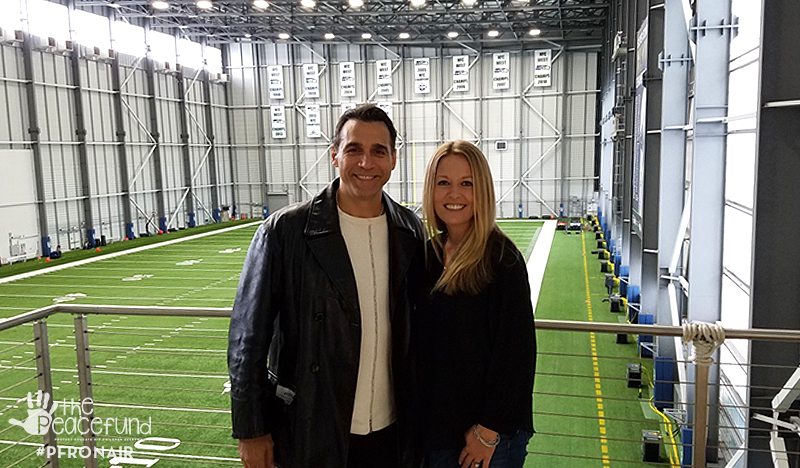 Last month Adrian visited the Seattle Seahawks’ Virginia Mason Athletic Center (VMAC) where he talked with Traci Schneider about Ben’s Fund. Established in 2012 by Seahawks General Manager John Schneider and wife Traci, and in partnership with Families for Effective Autism Treatment (FEAT) of Washington, Ben’s Fund was named in honor of their son Ben, who has autism. The Fund provides grants to families in order to help cover costs associated with medical bills, therapies and numerous other aspects of supporting a child, or children, on the autism spectrum. It also connects families to FEAT so they will be established in a larger community to receive ongoing guidance and assistance as they continue their journey with autism. Actress Alaina Huffman joined The Peace Fund’s Interactive Storytelling Program when she visited the Watts Willowbrook Boys & Girls Club to take Toy Story to children in the after school program. In 1957 the Watts/Willowbrook Boys & Girls Club (WWBGC) was founded as a gift to the community from the Los Angeles Times Charities, Inc. Originally incorporated as the Southern Area Boys Club, this organization was the first Club to serve the South Los Angeles area. Canadian film and television actress and producer Alaina Huffman is known for her work on Supernatural, SGU Stargate Universe, Smallville, Painkiller Jane, Serving Sara and many others. Adrian also caught up with Billy Boyd an actor and musician, at a convention recently. Billy is best known for his role as Pippin in The Lord of the Rings movie trilogy and he is also one of the founders of the band Beecake. Billy talks about his support of the Eilidh Brown Memorial Fund, founded by her family after Eilidh passed away following a 14-month battle with Germ Cell Cancer. She was 9 days short of her 16th birthday. The aim of the Memorial Fund is to build and maintain a respite holiday home in the Stirling area for young people and their families who are in treatment for or recovering from cancer. A place where, not only can the families relax and spend quality time together, but they can make memories that will last a lifetime. Before Eilidh passed away, the family took a holiday to Calum's Cabin, it was their last holiday together. Eilidh wanted other families to have the opportunity to do this too. 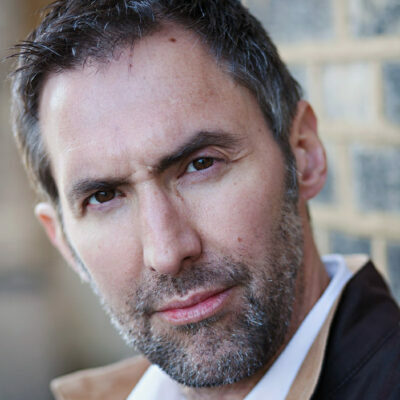 Ian Whyte is best known for his work on Game of Thrones, Prometheus, Clash of the Titans, Solomon Kane and Alien v. Predator: Requiem. He spoke with Adrian about the Chronicle Sunshine Fund, a charity that he and his wife are passionate about. The Chronicle Sunshine Fund provides specialized equipment to children with disabilities in the North East of England. Individuals, groups, registered organizations, special and mainstream schools and hospitals can ask for their support to improve the lives of children with disabilities. The Chronicle Sunshine Fund was founded in 1928 by King George V. He came to Newcastle to open the Tyne Bridge and while he was here he donated £15 to give underprivileged children a day out to the coast. The Chronicle adopted the idea of giving to children in the area and the Chronicle Sunshine Fund was established. Today John Bierly brings us our Hero of the Week, Aaron D’Errico, with a story of soccer, superheroes and cerebral palsy.